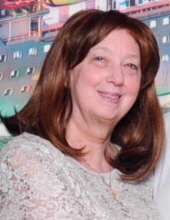 Donna L. Bute, 63, of Waterloo died Saturday, April 6, at home surrounded by family. She was born March 17, 1956, in Waterloo, the daughter of Donald and Lorraine Ingersoll Lampman. She married David Bute on February 8, 1975, in Waterloo. She was employed with UnityPoint Allen Hospital. Survivors include: her husband; three daughters, Jennifer (Michael) Evans of Indianola, Jamie Bute of Waterloo, and Joann Bute of Cedar Falls; one son, Jason Bute of Phoenix, Ariz.; five grandchildren, Samantha (Nick) Bute, Ashley Bute, Lily Bute, Andrew Evans, and Jarrod Evans; two brothers, Randy (Sue) Lampman of Marion and Dennis (Leslie) Lampman of Concord, N.H. .
Services will be 10:30 a.m. Friday, April 12 at St. Edward Catholic Church with burial in Mt. Olivet Cemetery. Public visitation will be from 4 until 7 p.m. Thursday, April 11 at Hagarty-Waychoff-Grarup Funeral Service on West Ridgeway, where there will be a 7:00 p.m. Vigil service. Visitation will continue for one hour before services at the church on Friday. In lieu of flowers, please send donations to Unity Point Hospice and/or Community Cancer Treatment Center. Donna was a wife, mother, grandmother, and friend. She enjoyed reading, motorcycles, and her family. To send flowers or a remembrance gift to the family of Donna L. Bute, please visit our Tribute Store. "Email Address" would like to share the life celebration of Donna L. Bute. Click on the "link" to go to share a favorite memory or leave a condolence message for the family.